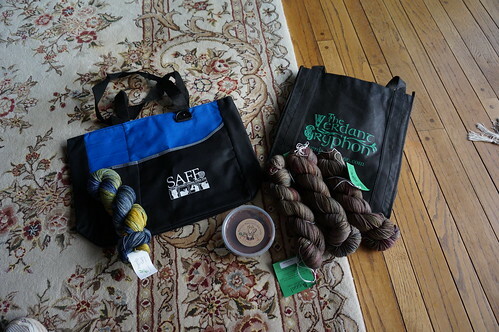 So I’m finally getting around to posting about my SAFF trip, and my current WiP! 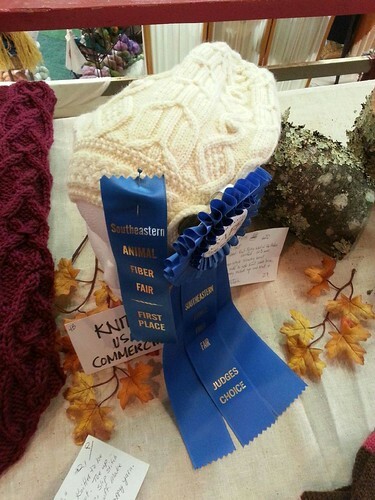 I entered my Master Knitter sweater and hat into the garment competition, and my hat won a first place ribbon and judge’s choice, and my sweater won a first place ribbon as well! 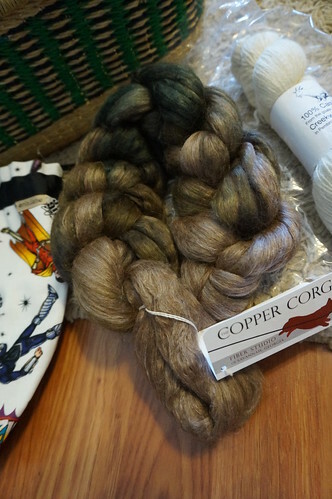 I didn’t spend too much money (I have plenty of yarn stash already, I don’t need more! 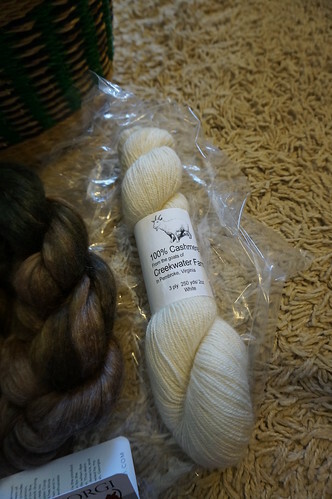 That’s what I told myself…) – but I did buy a few things… and some yarn. Oops! 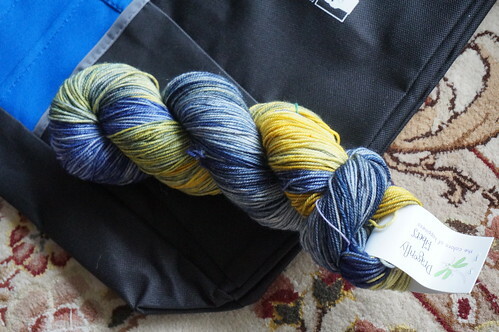 I wound up one skein of my Bugga on Saturday morning there at the house (several of us brought ball winders and swifts, of course) and swatched for my Hitofude right away. Got gauge (yay!) and then casted on. 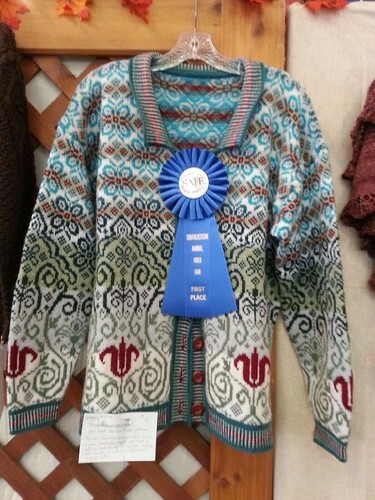 I’m totally in love with the color of this. It’s like a bark color from far away, but up close there are all these little flecks of bright colors that pop out at you – it’s amazing. 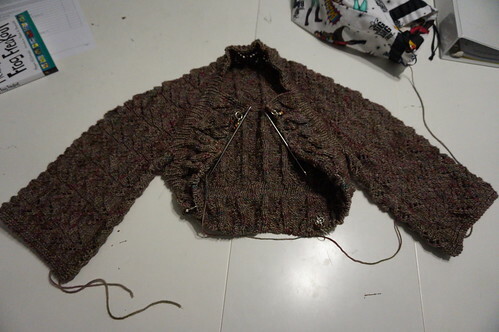 It’s a very interesting and fun knit! 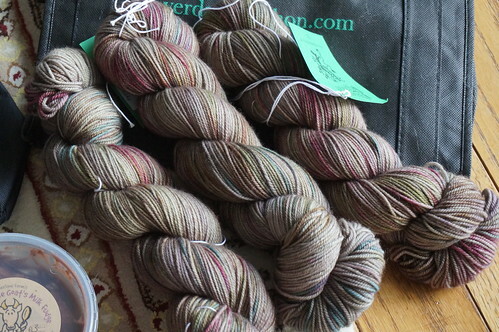 I’m a bit worried I’m going to run out of yarn, even though I did buy plenty according to the pattern. We’ll see. 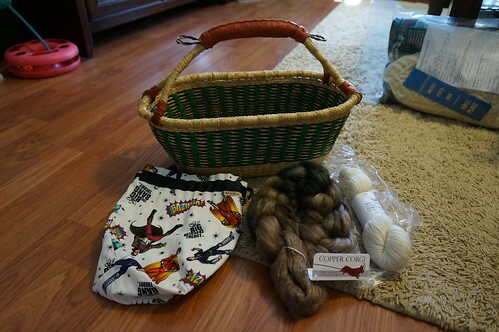 So that’s what I’m working on (that I can show you) and what I bought at SAFF several weeks ago! 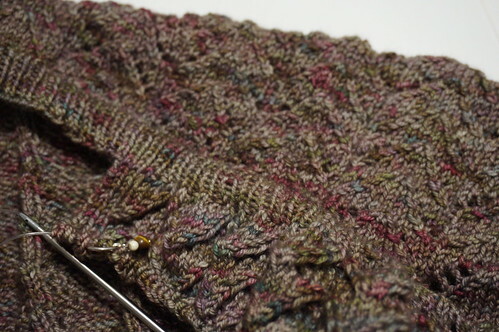 Also , there are still coupon codes left for my sock pattern, so check out my post from Sunday if you want a free copy of my ‘Not So Beginner’s Socks’! Previous postSocks, socks and more socks!